In 1841, a young man and young woman living near North Carolina’s Atlantic coast established a family. Because Henry (Harry) Lamb and Julia Miller were enslaved, they were not permitted to marry in a formal way, or have their union recorded by church or state. Nevertheless, their marital bond was as real as any other. They managed to stay together; Julia bore 14 children, only half of whom could she and Harry raise past childhood. The extent of Julia’s involvement with the Church remains unknown. At some unknown date, a missionary updating mission records drew a line through her record, and noted simply that she was “Dead.” Her death date and place of burial are unknown at this writing. Church of Jesus Christ of Latter-day Saints, Record of Members Collection. CR 375 8, box 4727, folder 1, images, 60-61, 177, Church History Library, Salt Lake City, Utah. United States. 1860 Census, Slave Schedules. North Carolina, New Hanover County. Entry for Wm. A. Lamb. United States. 1870 Census. North Carolina, New Hanover County, Union. United States. 1880 Census. North Carolina, Pender County, Union. United States. 1900 Census. North Carolina, Pender County, Union. White, Barnetta McGhee. Somebody Knows My Name: Marriages of Freed People in N.C. County by County . (Athens, GA: Iberian Publishing Co.), 1995. 1 Barnetta McGhee White. Somebody Knows My Name: Marriages of Freed People in N.C. County by County . (Athens, GA: Iberian Publishing Co.), 1995, xiv-xv for general background. North Carolina. Marriage Records, 17841-2011. New Hanover County, Cohabitation Records (1846-1866) (unpaged, but arranged in date order of registration). See enumeration Julia Lamb in United States. 1900 Census. North Carolina, Pender County, Union, for indication of children borne. 2 Church of Jesus Christ of Latter-day Saints, Record of Members Collection. 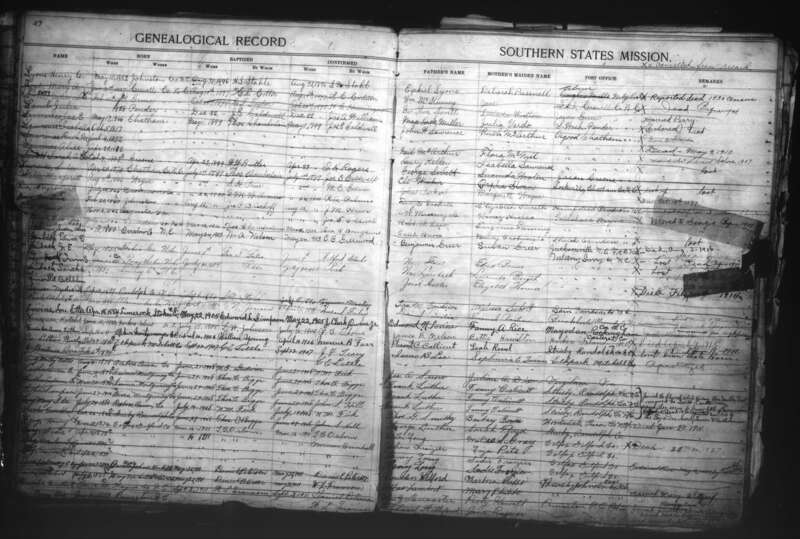 CR 375 8, box 4727, folder 1, images 60-61, 177, Church History Library, Salt Lake City, Utah, for parents’ names. 3 United States. 1870 Census. North Carolina, New Hanover County, Union. United States. 1880 Census. North Carolina, Pender County, Union. United States. 1900 Census. North Carolina, Pender County, Union. 4 United States. 1860 Census, Slave Schedules. North Carolina, New Hanover County. Entry for Wm. A. Lamb. 5 Church of Jesus Christ of Latter-day Saints, Record of Members Collection. CR 375 8, box 4727, folder 1, image 177.